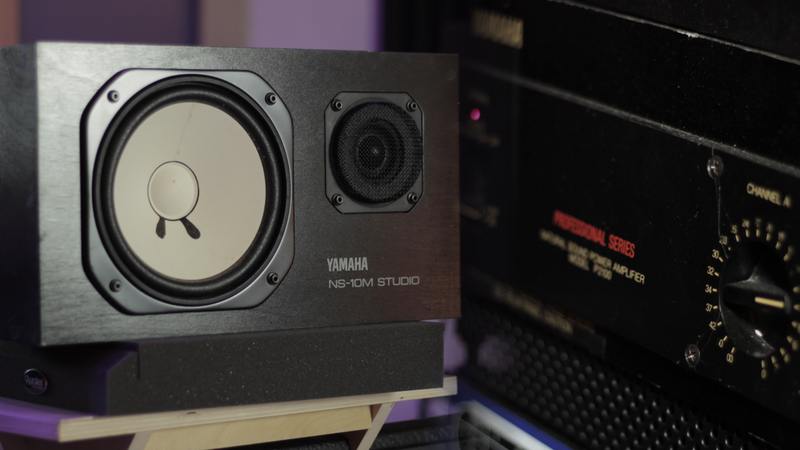 Say what you will about the Yamaha NS-10: it's one of few true icons of studio monitoring. Do people use it because it helps them suss out problems in a mix, or because famed engineers were seen using them? That's not for me to say. But they are everywhere, and while learning the trade, I spent many a late hour on studios' NS-10s instead of their Genelecs or Dynaudios. NS-10s don't sound bad. They don't sound great, either. Nor are they an acquired taste; they tend to be a flavor that you either like from the first bite, or just can't get into. That doesn't really explain how they sound, so let me try to define them. Off the bat, what people say about the forward and sometimes harsh midrange is completely true. There's a 7dB boost at around 1500 Hz, right where it can bring out the 'nose' of guitars and vocalists. Bass is subdued, but present and well-defined. More important than the frequency response is the result of the NS-10's construction: They exhibit minimal "group delay", or frequency-dependent delay. With a ported speaker cab design, you introduce low-frequency delay created by the port, either because the air pressure in a front-ported speaker is leaving at somewhere around 180 degrees phase from the woofer, or in a rear-ported speaker the reflections against a wall. In the macro scale, this means that a sealed cabinet like the NS-10 has less bass but better phase cohesion than a ported speaker, but a sealed design has a second benefit. That trapped air acts as an additional component of a speaker's suspension, acting to reduce the momentum of a speaker cone after a transient has run its course. Think of it like a shock absorber (trapped air) complimenting a spring (speaker cone) in a car's suspension, preventing the axle from bouncing up and down well after it clears a bump. The end result is that the NS-10 is a deceptively analytical speaker, with some frequency quirks that work in favor of a mix engineer. As for the power amp, the P2100 (and related P2200) is a period-accurate professional amplifier built by Yamaha, and when you can find them, are excellent when paired with a pair of NS-10s.